Injuries to the face result in a high degree of emotional, as well as physical trauma to patients. The science and art of treating these injuries requires special training involving “hands on” experience and an understanding of how the treatment provided will influence the patient’s long term function and appearance. There are a number of causes of facial trauma. Motor vehicle accidents, accidental falls, sports injuries, interpersonal violence and work related injuries account for many. Types of facial injuries can range from injuries of teeth to extremely severe injuries of the skin and bones of the face. Facial injuries are classified as either soft tissue injuries (skin and gums), bony injuries (fractures), or injuries to special regions (such as the eyes, facial nerves or the salivary glands). When soft tissue injuries, such as lacerations, occur on the face, they are repaired by suturing. In addition to the importance of providing a repair with the best cosmetic result possible, care is taken to inspect for and treat injuries to structures such as facial nerves, salivary glands and ducts. 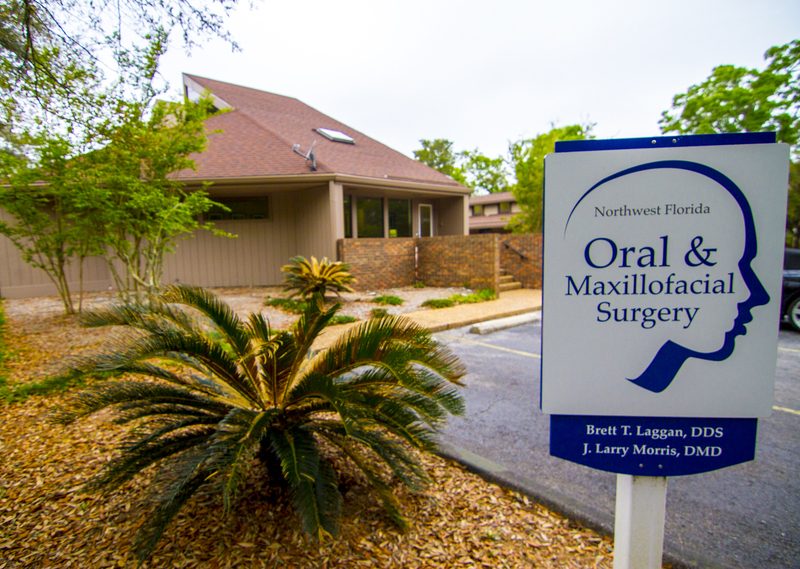 Oral and Maxillofacial surgeons are proficient at diagnosing and treating all types of facial lacerations. Fractures to the bones of the face are treated in a manner similar to fractures in other parts of the body. The specific form of treatment is determined by a variety of factors, including the location of the fracture, the severity of the fracture, and the age and general health of the patient. When an arm or a leg is fractured, a “cast” is often applied to stabilize the bone and allow for proper healing. Because a cast cannot be placed on the face, other means have been developed to stabilize facial fractures. One of these options involves wiring the jaws together for certain fractures of the upper and/or lower jaw. Other types of fractures of the jaw are best treated and stabilized by the surgical placement of small titanium plates and screws at the involved site. This rigid fixation of a fracture, allows for healing without the need to wire the jaws together. Rigid Fixation has improved the recovery period for many patients by allowing them to return to normal functions more quickly. Treatment of facial fractures is accomplished in a thorough and predictable manner. The patient’s facial appearance should be minimally affected after successful repair. An attempt to access the facial bones with the fewest incisions necessary is always made. At the same time, the incisions that become necessary are designed to be small and, whenever possible, are placed so that any resulting scar is hidden. Isolated injuries to teeth are quite common and may require the expertise of more than one dental specialist. Oral surgeons are usually involved in treating fractures in the supporting bone or in replanting teeth which have been displaced or “knocked out”. These types of injuries are treated by stabilizing by wiring or bonding teeth together. If a tooth is “knocked out,” it should be placed in salt water or milk. The sooner the tooth is re-inserted into the dental socket, the greater the possibility for the survival of the tooth. The patient should see a dentist or oral surgeon as soon as possible and never attempt to “wipe the tooth off” because the remnants of the ligament which hold the tooth in the jaw are attached and are vital to the success of replanting the tooth. Other dental specialists may be called upon, such as endodontists, who perform root canal therapy, and restorative dentists, who may need to repair or rebuild fractured teeth. If the injured teeth cannot be saved or repaired, dental implants are often the course of treatment as replacements for missing teeth. The proper treatment of facial injuries requires the expertise of specialists that are well versed in emergency care, acute treatment and long-term reconstruction and rehabilitation of the patient.